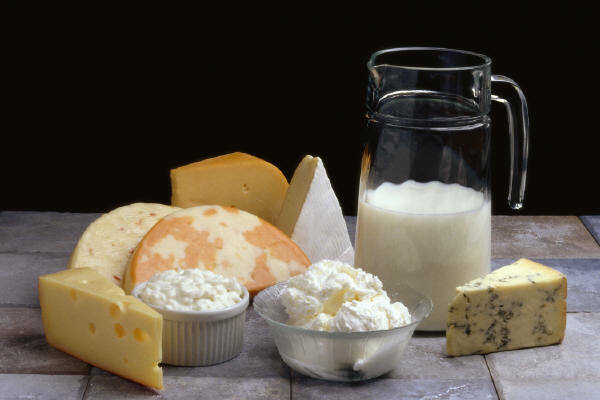 Dairy products, as we all know, helps to strengthen bones , but there is another action you may not know. According to recent studies, they found that regular consumption of milk in combination with diet, serves significant weight loss. More specifically a large number of research studies show that the consumption of milk, 3-4 servings daily in conjunction with a mildly hypocaloric diet, not only contribute to a greater reduction of weight but also contributes to fat loss faster than the abdomen ( up to 2 times more fat loss ) . This help deal with central obesity, thereby reducing the risk for cardiovascular diseases. This effect was attributed to the increased intake of calcium in combination with vitamin D. Take advantage of the benefits we mentioned, by eating three servings of dairy products a day. A serving of dairy is equivalent to 1 yogurt 200 g. or 1 cup of milk or 30 g. cheese. Additionally, something very important to know is that the human body can absorb up to 400mg of calcium in every meal. If you want maximum results in fat loss do not take 3 servings of dairy together but divide them into 3 meals. An example with 3 servings of dairy a day is 30 g. cheese in the morning 1 cup milk in the afternoon and a yoghurt in the evening.